Highway 44 brings a small but steady stream of traffic to the area of Panora and nearby Lake Panora. 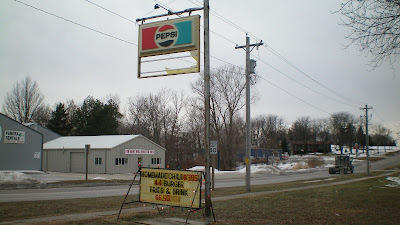 The location on the west side of Panora means that the tourism traffic to the lake never reaches this place. 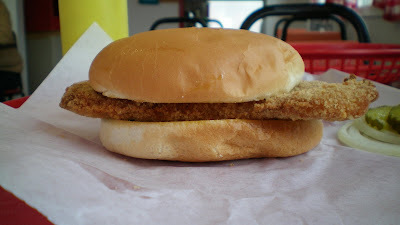 The 44 Drive-In is an old-fashioned small-time burger joint just off this rural route. I may have rolled through town during the slowest time of year. Location: 104 NW 5th St. in Panora, population 1,175, in Guthrie County, about 50 miles west of Des Moines. Price: $5.50, or $4.00 for small size. Grilled tenderloin also available. 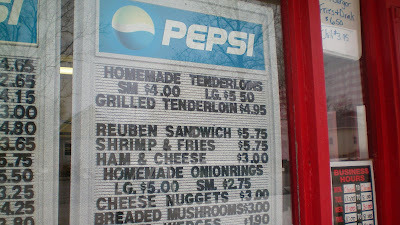 Also on the Menu: Homemade Chili, onion rings, ice cream sundaes, and the house special is the "44 Burger". Service: A counter inside and window outside give you access to the skeleton staff working here. You pick up your food after your number is called. Ambiance: The busted-up sign tells you this place is a dive. The driveway isn't paved, there is dust all over the picnic tables in front. The inside is clean but the decorations are nothing special. 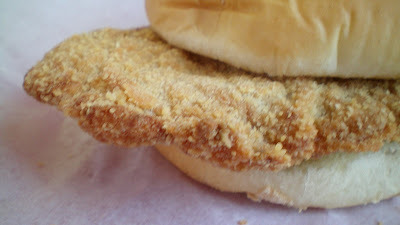 Final Thoughts: This may not be the best homemade tenderloin in Panora. 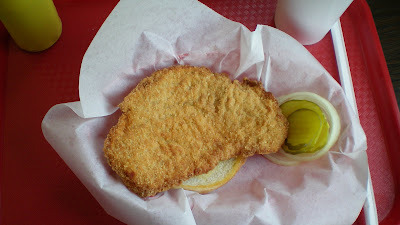 It may not even be the third best in this small town of many tenderloins to be detailed later. But it is a homemade in Iowa, so it gets documented here.